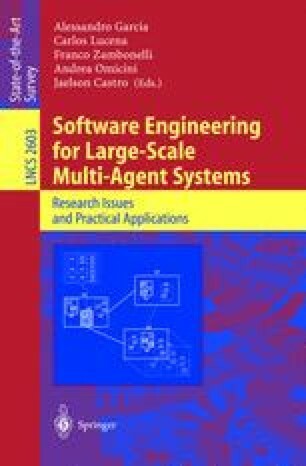 In this paper, we argue that “programming in the large” for reactive multi-agent systems (MAS) should imply a reuse method that allows two things: (1) to describe multi-agent systems in an abstract, application-independent way, and (2) to reuse such abstract multi-agent system through application-specific adoptions. This allows reuse not only of code and design, but also of behavioral aspects, experiments, tests of the abstract multi-agent system. We present our work on MASORG (Multi-Agent System ORGanizations), focusing on the specification and reuse of roles in reactive multi-agent system.We use statecharts to model the abstract roles and we introduce statechart extension mechanisms to add application-specific functionality in the statechart of the abstract role. We work out an example of a role on the abstract level, and reuse and extend this role within an application in the domain of manufacturing control.